She studied hard all year long and now it's time to have fun: help student Nina prepare for a glamorous party at school. Give her a luxurious makeover with facial masks and sweet treats. Apply stylish make-up and pick a cool outfit with kawaii accessories. Decorate the hallway and then you are all set for an unforgettable night with your friends! 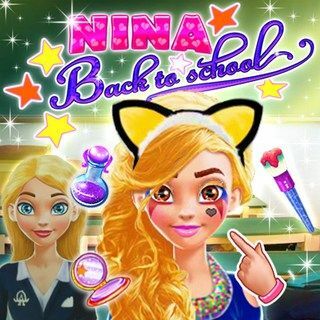 Nina - Back To School - Find Nina - Back To School in our vast HTML5 games catalogue. Only the best and newest HTML5 games for all audiences. Guaranteed success with Famobi.